This DW Performance Series Tom Pack includes DW's proprietary 8-ply HVX 10" and 12" toms and 14" floor tom, while the 14" x 5-1/2" snare drum features 10-ply HVX construction. North American Rock Maple HVX proprietary shells provide warm, projecting sound with deep, punchy fundamental tones. F.A.S.T. sized tom shells are optimized for superior sonic performance in the stage and studio. 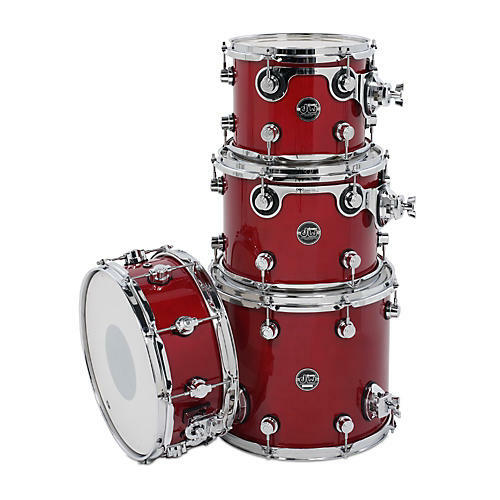 Add in precision-cut 45 bearing edges, stunning high-gloss lacquer finishes, new lower-mass turret lugs, suspension tom mounts, plus Remo heads, and you've got premium drums as only DW can deliver. 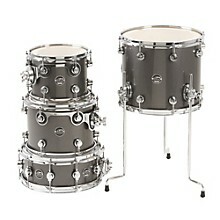 Made in the U.S.A.
Tom(s):	10" x 8", 12" x 9"
Floor Tom(s):	14" x 12"